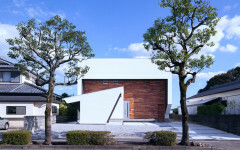 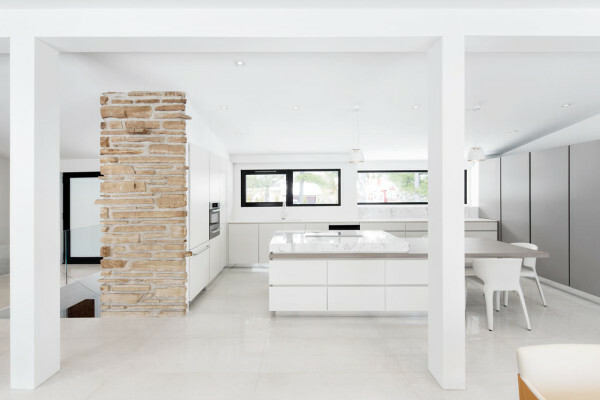 A house from the 60s becomes the modern design epitome while keeping it’s soul. 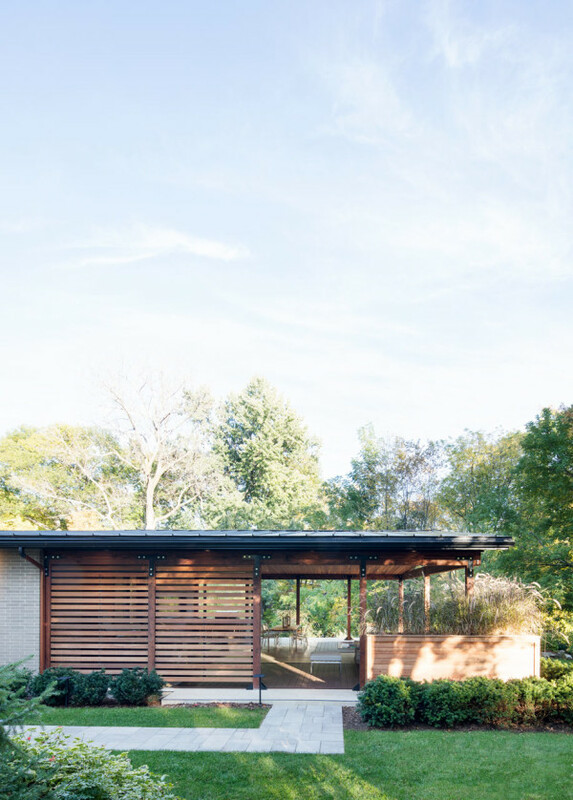 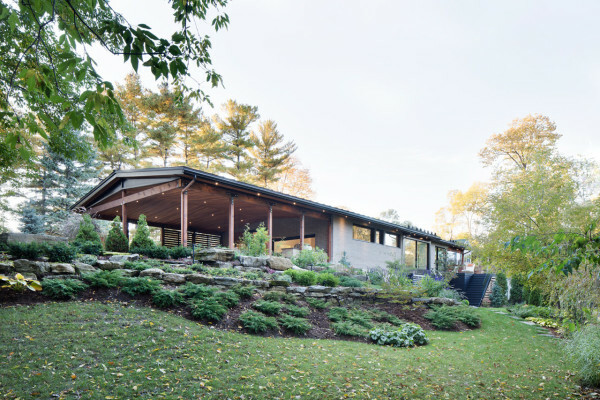 The Du Tour Residence is a project led by Architecture Open Form who renovated it for a family who had owned the 1960s home for decades. 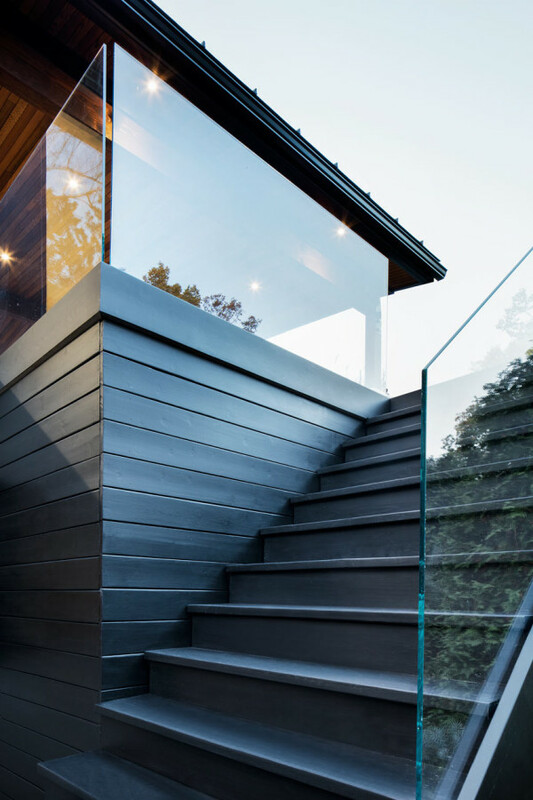 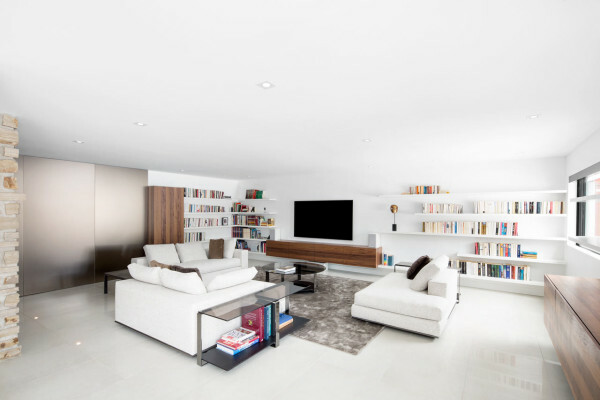 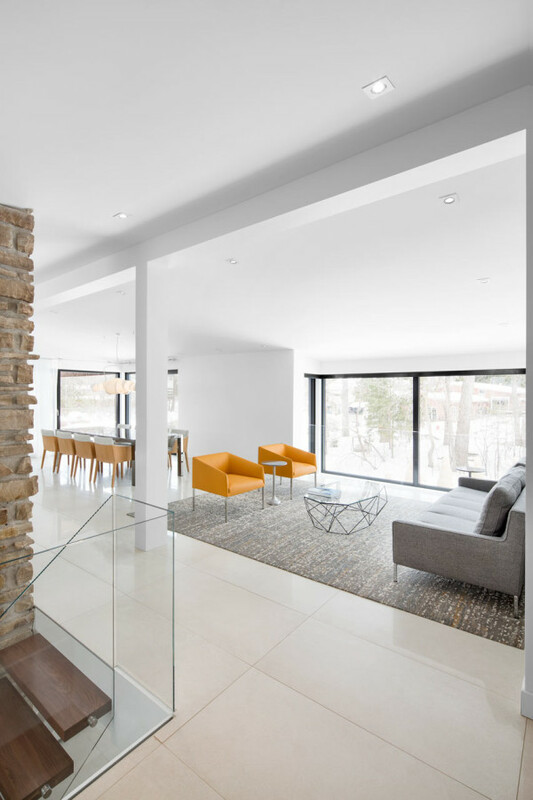 Located in lovely Laval, a city just north of Montréal, the house needed a more modern interior but it was important to the family to keep the heart of the original design. 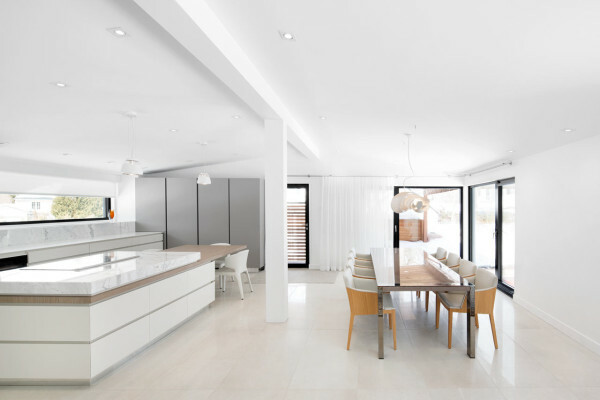 The architects in collaboration with interior design firm FX Studio par Clairoux to come up with a concept that met all the criteria. 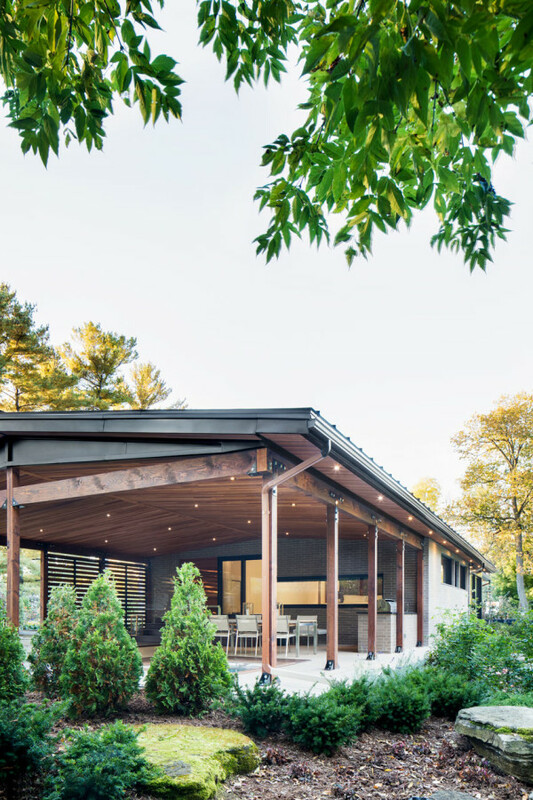 At each end of the structure, covered terraces extend the roof line and adding usable square footage. 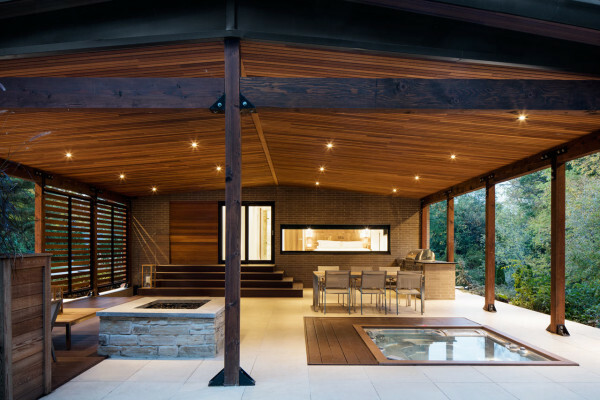 One of the terraces houses an outdoor kitchen, a fireplace, a dining room, a lounge area, and a spa, slightly hidden by cedar shutters and vegetation. 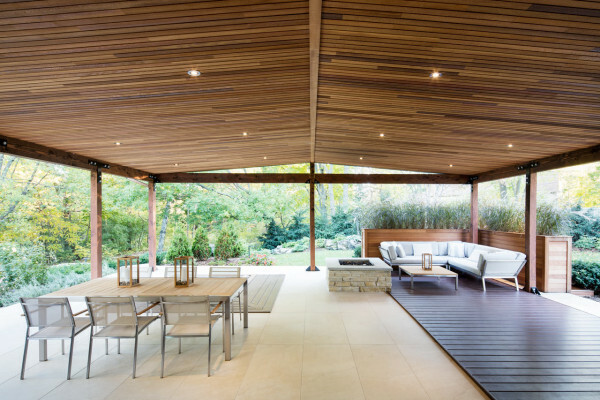 In keeping with the original house, they mixed stone, masonry, and wood on this particular terrace, including the warm cedar ceiling. 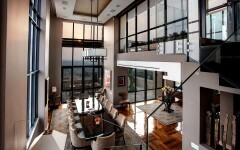 Floor-to-ceiling windows around back make way for views of the river and the surrounding greenery. 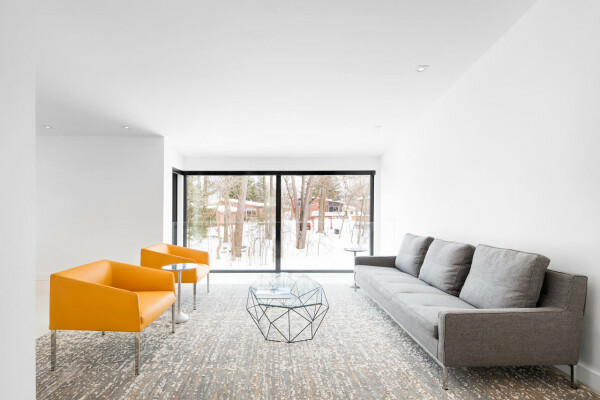 The interior features light materials giving it a fresh, open feel that highlights the mid-century bones of the house. 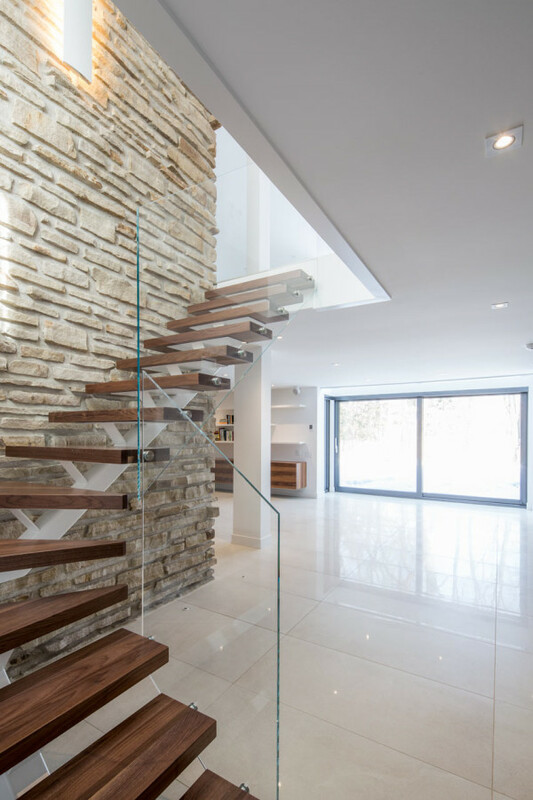 Minimal details keep the feel of the original home, original chimney of natural stone was saved and is still a prominent feature.